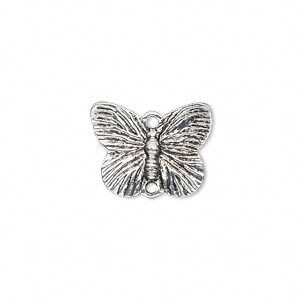 Link, antique silver-plated "pewter" (zinc-based alloy), 18x14mm single-sided butterfly. Sold per pkg of 10. Item Number: H20-2013FX Have a question about this item? 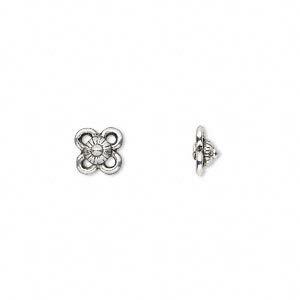 With eye-catching detail, these links are made of "pewter" (zinc-based alloy) and feature an attractive antique silver plating. Color and design may vary. 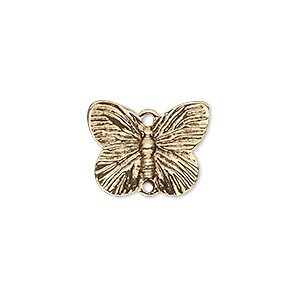 Link, antique gold-finished "pewter" (zinc-based alloy), 18x14mm single-sided butterfly. Sold per pkg of 10. 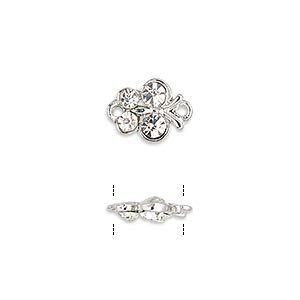 Link, glass rhinestone and imitation rhodium-finished "pewter" (zinc-based alloy), clear, 10x10mm butterfly. Sold per pkg of 4. 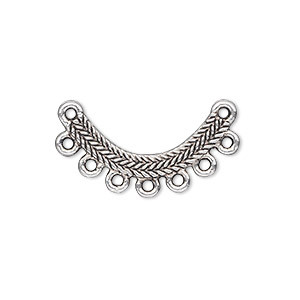 Link, antique silver-plated "pewter" (zinc-based alloy), 23x3mm single-sided curved bar with woven texture and 2/7 loops. Sold per pkg of 20. 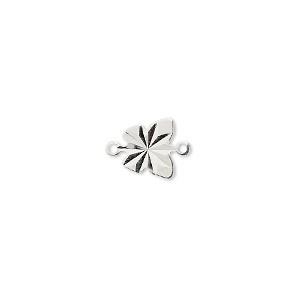 Link, antique silver-plated "pewter" (zinc-based alloy), 8x8mm single-sided open flower. Sold per pkg of 50. 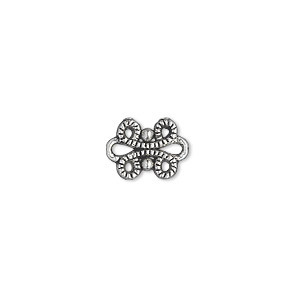 Link, antique silver-plated "pewter" (zinc-based alloy), 12x9mm single-sided fancy knot. Sold per pkg of 50. 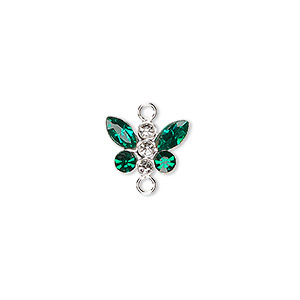 Link, Swarovski® crystals and sterling silver, crystal clear/emerald, 12x8mm butterfly. Sold individually. 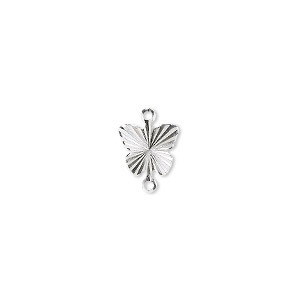 Link, silver-plated brass, 9x9mm diamond-cut butterfly. Sold per pkg of 100. Link, Swarovski® crystals and sterling silver, crystal clear/aquamarine, 12x8mm butterfly. Sold individually. Link, silver-plated brass, 8x8mm corrugated fancy butterfly. Sold per pkg of 100. Link, Swarovski® crystals and sterling silver, crystal clear/rose, 12x8mm butterfly. Sold individually.